The Keystone Group is a leader in the Hospitality Sector in Australia. The group owns well know brands such as the Cargo Bar and Chop House in addition to holding the exclusive rights of a famous international brand for Australia and New Zealand. 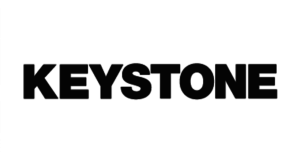 Late last year Keystone identified the need for a robust Governance software and after an extensive search choose Folio. Apart from Folio’s Contract Management functionality, Folio has also provided an audit tool that is used across Keystone’s restaurants and bars and an incident reporting and management software that allows staff to report incidents from their mobile phones. What pain has Folio resolved for The Keystone Group? Folio has provided me with a solution to bring risk management into the 21st century. Engaging your managers within a high turnover industry with the tools needed to ensure our business is compliant from an accident and procedural point of view. How have you and your team found Folio to use? My experience with the application has been seamless. Our business is working with a programme that is intuitive and has the ability to grow as the needs of our organisation expand. We are currently using Folio across Australia with an international brand. Have you been happy with the support provided by Kwela Solutions? The team at Kwela are personable and have a wealth of industry experience- you really feel as though you are working with experts within the industry throughout all stages of consultation.